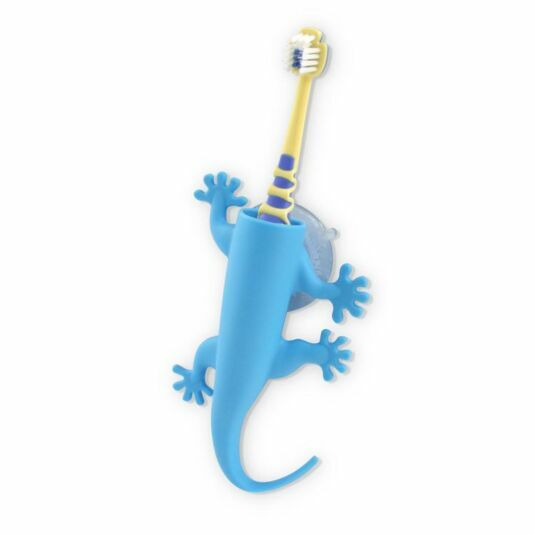 Ensure your children take a keen interest in brushing their teeth regularly with the aid of a fun and colourful character with this Larry Lizard Toothbrush Holder, the perfect bathroom accessory to make wash time fun! Larry is a friendly lizard, sticking to most surfaces with his gripped feet and swishing tail, his bold blue colouring inviting you to keep your bathroom clean and tidy when it comes to wash time whilst making little ones want to brush their teeth! Larry is made of a child-safe silicone material, allowing him to bend freely whilst sticking securely to surfaces, even when they get wet! Larry is suitable for use with almost all children’s toothbrushes but we cannot guarantee a suitable fit for all brands. He comes complete with a rear suction cup for him to stick to many surfaces in the bathroom such as tiles, ceramics and many plastics! 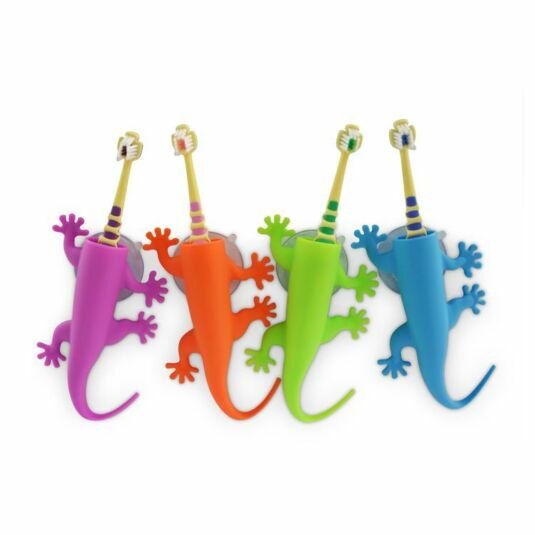 Allow Larry the Lizard to keep your bathroom clean and tidy and to invite children to keep their teeth clean in this fun and colourful toothbrush holder! PLEASE NOTE: Toothbrush NOT included.